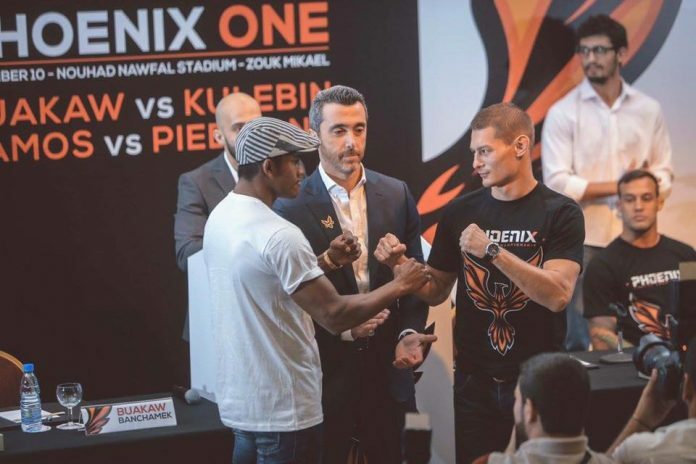 The time has come for a long-awaited encounter between Thai star Buakaw Banchamek and the king of muaythai out of Belarus Andrei Kulebin. Buakaw Banchamek (228-23-12, 68 KOs) vs Andrei Kulebin (65-20-0, 14 KOs) goes ahead on Saturday, December 10, 2016 in Beirut, Lebanon. Both men are renowned athletes. Both are multiple champions of the world. The detailed preview was released on Tuesday. Buakaw vs Kulebin welterweight bout headlines a mixed gala. The six-fight muaythai programme goes alongside the seven-fight MMA bill. FIGHTMAG was the first to release the date of the event on August 9, 2016. The weigh-ins ceremony was held earlier today.